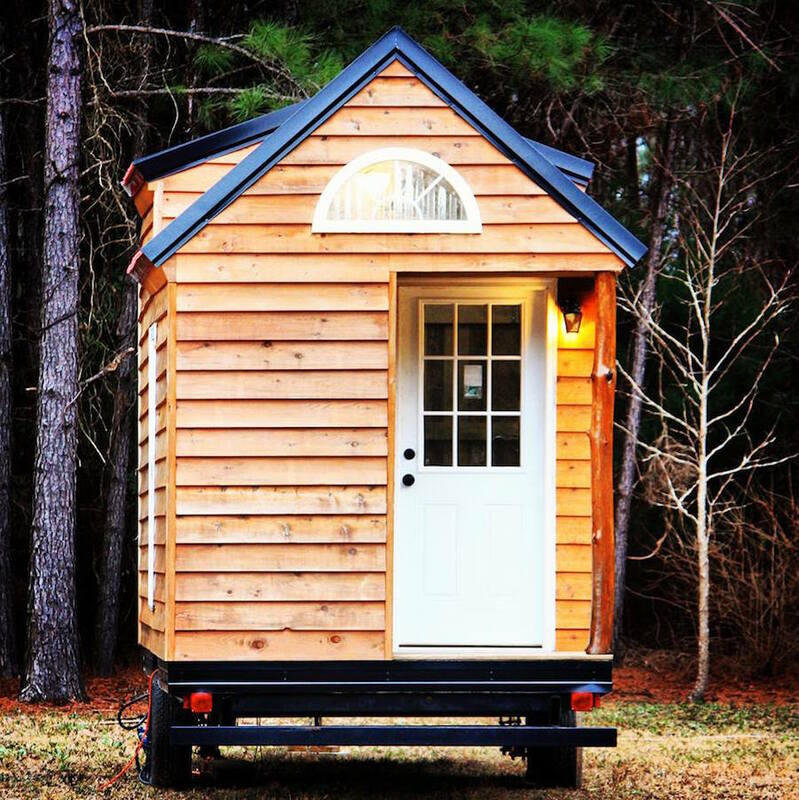 Subscribe to the Tiny House Listings YouTube Channel for upcoming video tours here. 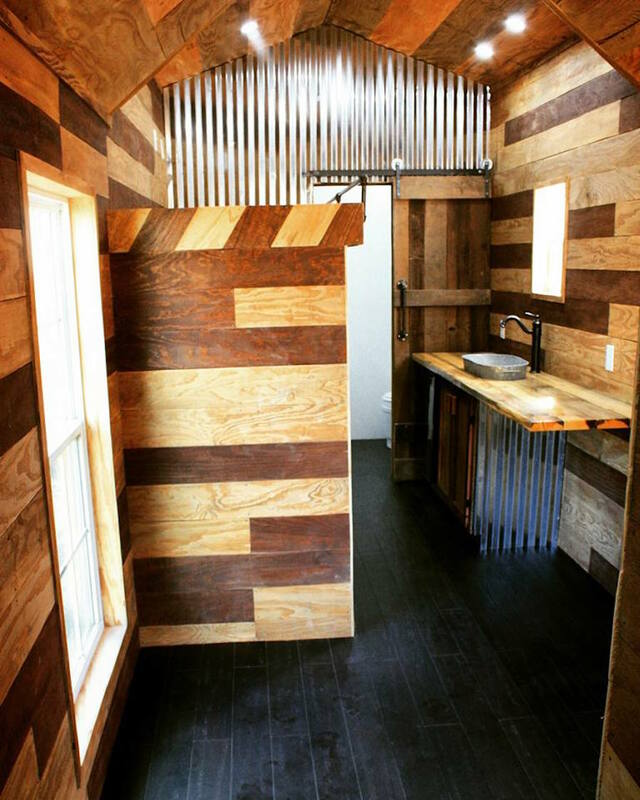 A custom, 218 square feet tiny house on wheels in Myrtle Beach, South Carolina. More info. 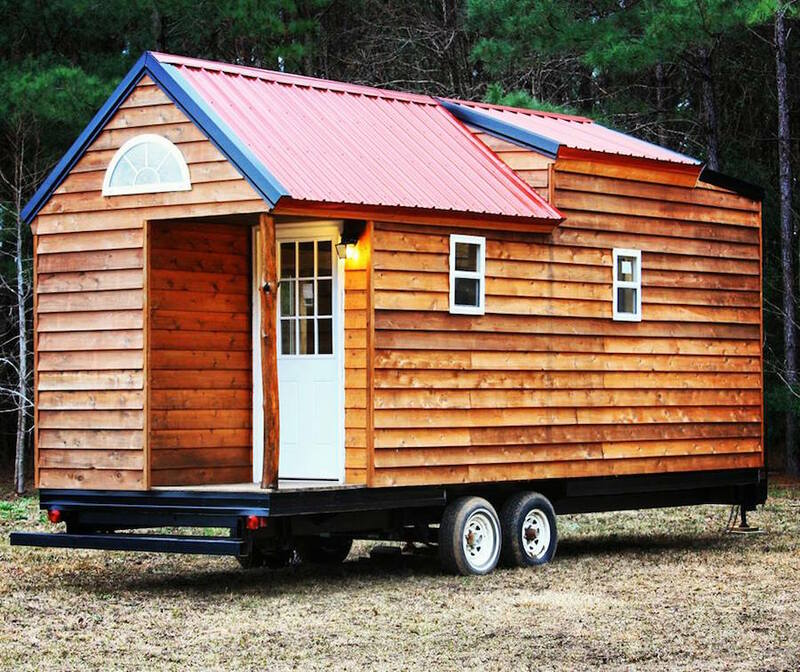 Free Range Tiny House. 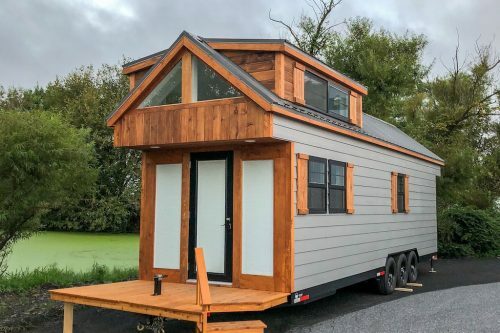 This tiny looks well built and it will suit someone fine. The exterior is too plain for my taste. And the window layout,….I just don’t like it. 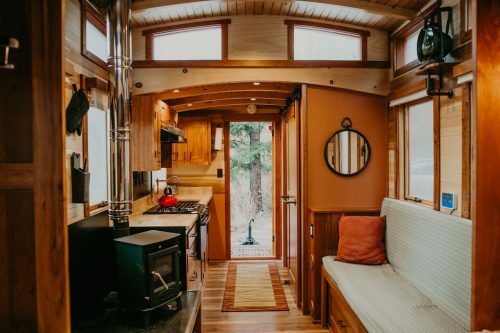 Some folks have argued that tiny houses should have mainly tiny windows. I dont like that look. Unless is a tiny window for the bathroom, which makes sense. No bay window treatment for the front bump out? No window there at all? the only large window is too big and is placed where the ladder should be, where is the ladder? 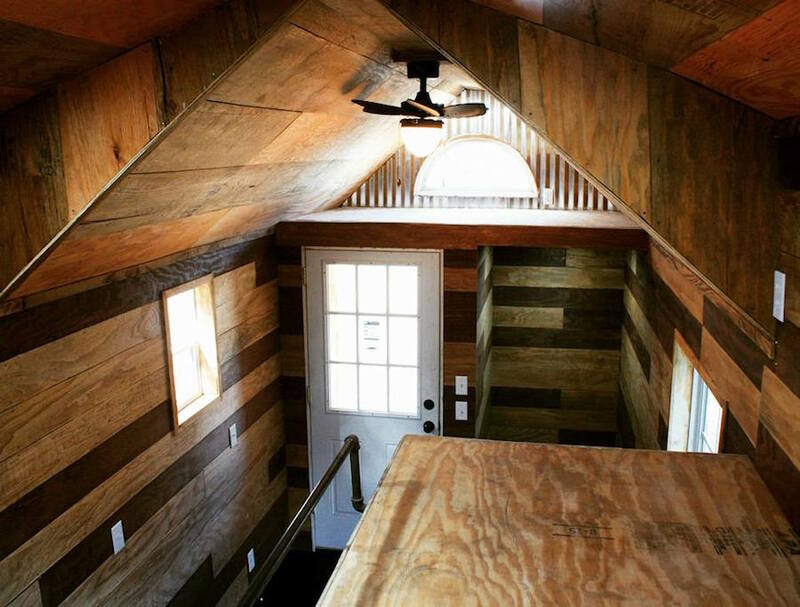 No windows in the loft, or half loft?? It looks so cramped. 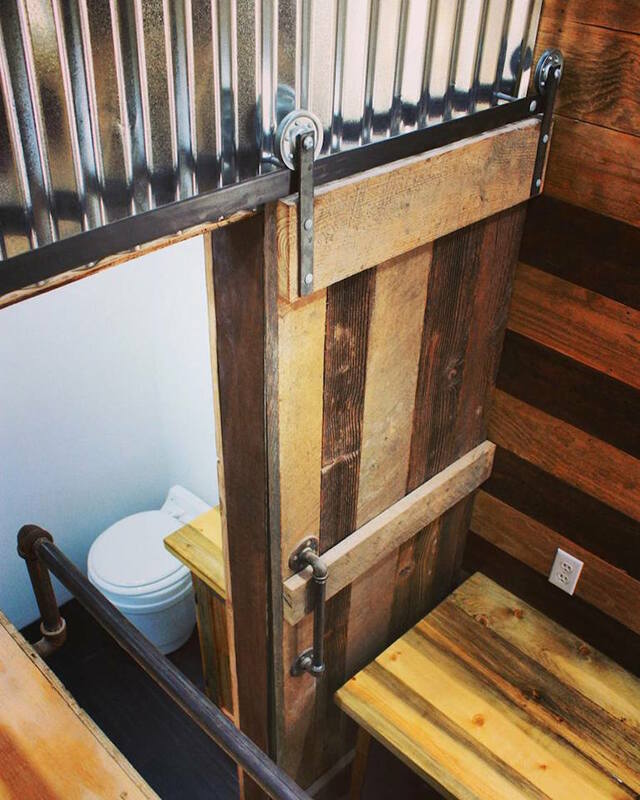 Bathroom is nine though, unless its a wet room. A window in front of a table would be nice to eat or work. That tiny window on the door side is too high for that. the storage under the loft for food and clothes looks roomy. But the kitchen against the wall like that still feels cramped and that is without cabinets or shelves. Come on! 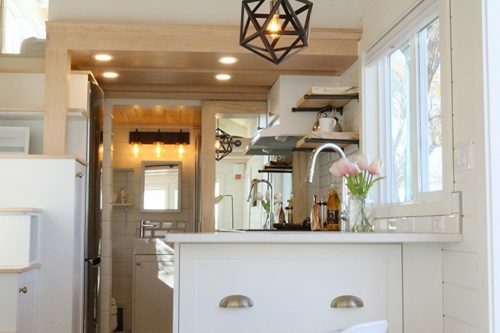 I dont understand why people build kitchens without at least shelves if cabinets are too much. I dont see a vent fan for cooking. 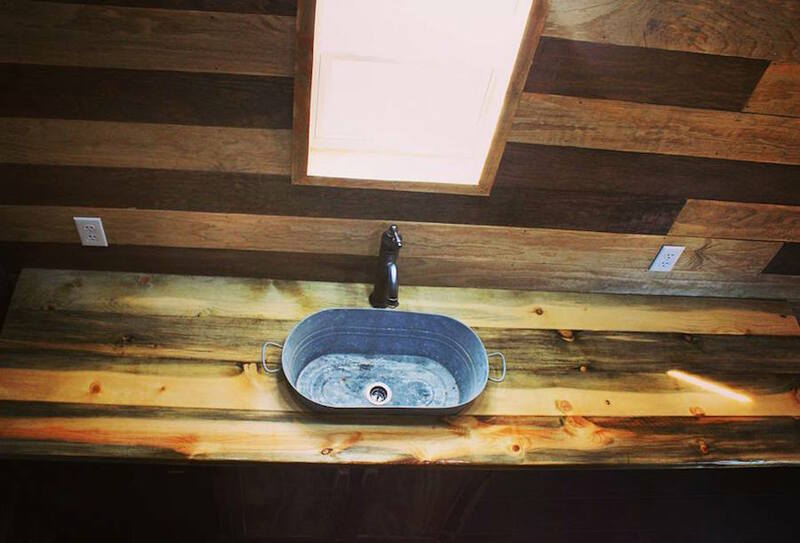 The sink looks charming, but is it really practical? i dont know. The floor is beautiful, the walls are beautiful, but black floors and dark wood pattern with the tiny windows is overwhelming . Hmm…not my cup of tea. A little haphazard. You should go all the way funky or all the way traditional. You need to be firm in your convictions and think them all the way through. That standard divided light door in the midst of this “study” makes me wonder if the designer lacks conviction or a deep enough skill set. 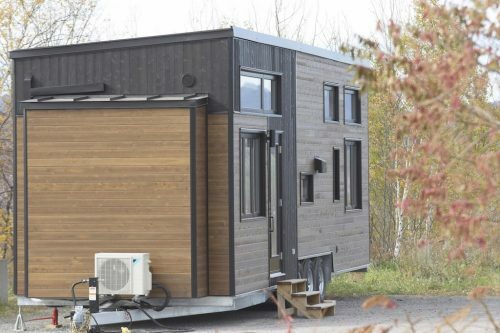 I’d be more convinced if the outside was funky/funkier than the inside, yet the outside is conventional enough not to raise any eyebrows. 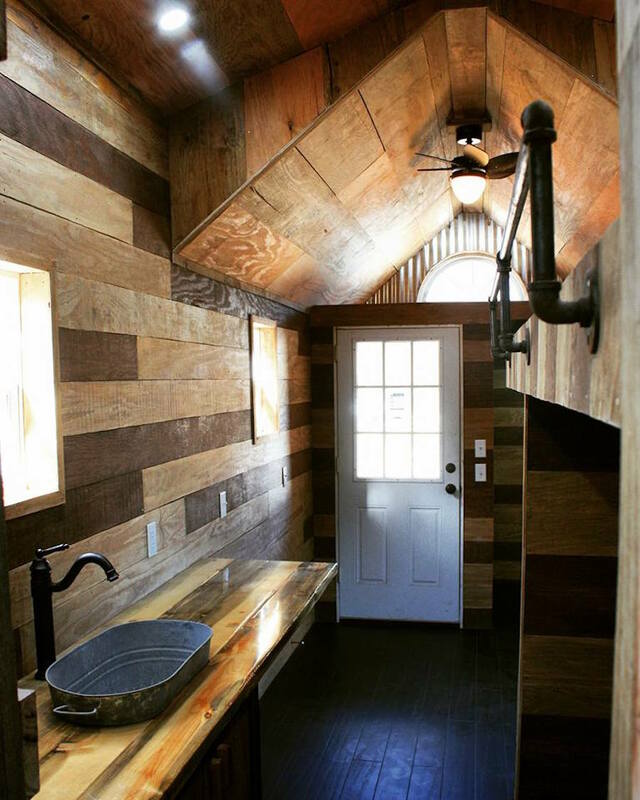 Looks like the inside of a dairy barn. I’ll pass on this one. Not for me, either. 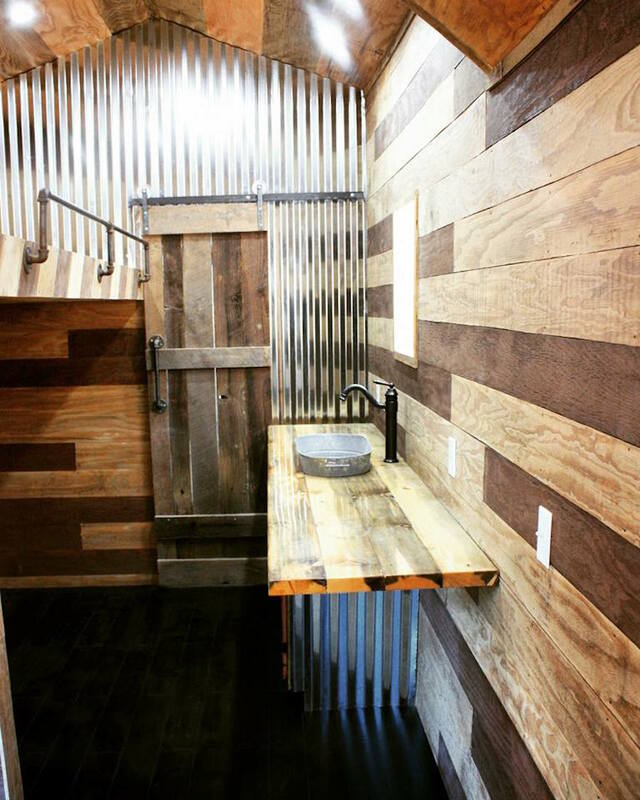 I guess I don’t understand the current fashion for dark wood or naked plywood in a tiny house. One looks like a cave and the other just unfinished. No light, little air, and even empty,so busy that I already have a headache. I have to say, everyone has different tastes! I think it’s just perfect for the person that knows how to add a shelf where they want one, a desk where they need one, a curtain where one is needed or whatever they desire… The builder seems too have laid out a pretty great basic, private and sturdy home for one or two who can use their own know how to put their own identity to the interior of this lovely house. He also mentions that if anyone has any questions to feel free to contact him… If I were in the market presently, I’d call. I think night owls will like it, for the lack of windows. I would probably throw in a fan since there might not be much ventilation. 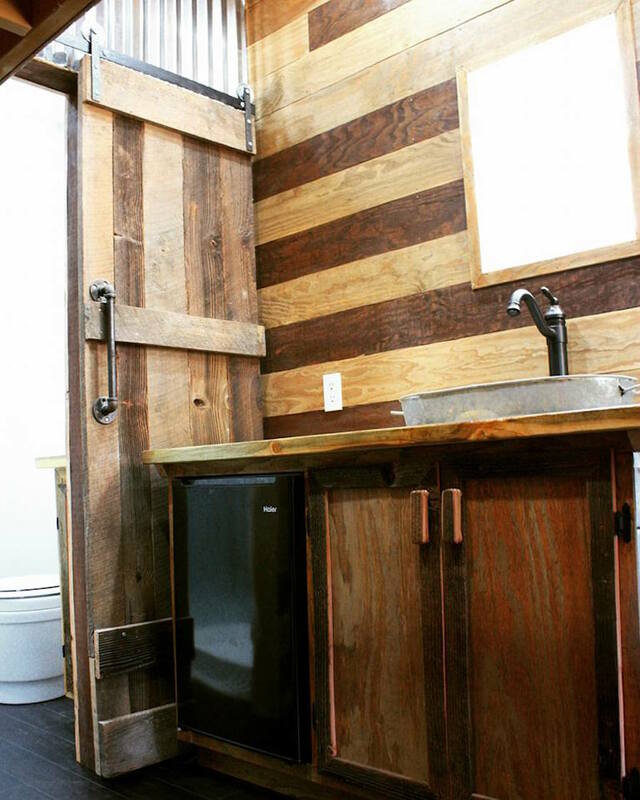 There’s wasted space between the bathroom barn door and counter.